Producer Meeting 2017 - Fun to the new vision!! Re: Producer Meeting 2017 - Fun to the new vision!! All of 'em are going to be there? If it's that big, here's hoping they announce number 3. Wasn't sure to post this here or in the Platinum Stars section, but someone posted an image of the live phamplet that seems to have a new outfit. ...are you guys thinking what I'm thinking? Word has it Harami and Azumin are sick; I'm unsure what they even caught exactly but Azumin was ill a few days before Harami, whereas news of Harami's illness came recent. There's no word on their status for this event yet. That much is a downer, so here's to their foremost recovery. Azumin is one samaritan I'd particularly love to see. I hope both of them get well soon. Do i interpret this correctly that you are going to the P Meeting Deviant? Cancellations are never fun, so much apologies for Harami. As for heading to the event? D'oh... that's well beyond my reach, friend. It'd be the stuff of dreams, as this would be a long while since all 765 seiyuus have performed together. In what, four years at that? I think the last time was 7th, so that would be 4 to 5 years ago yeah. And let's hope they will all be healthy enough next weekend to really be on stage. 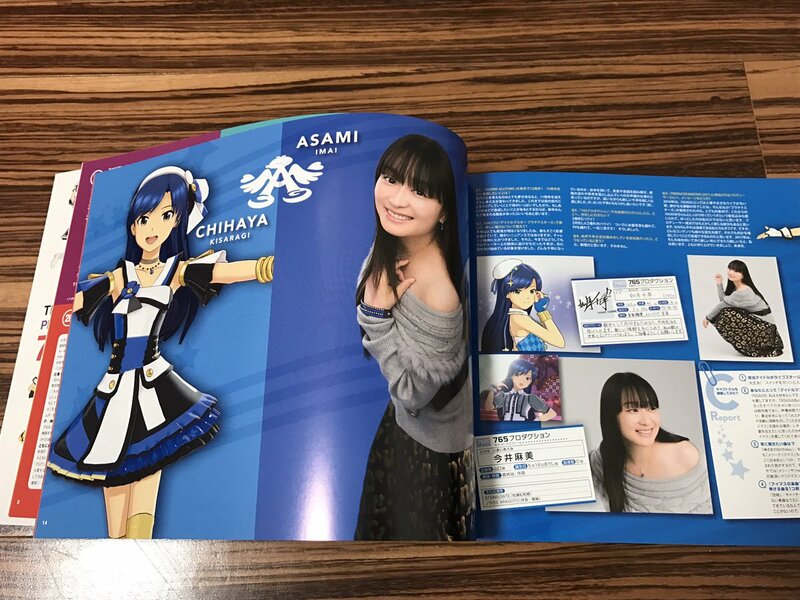 The good thing is that Harami and Azumin appear at a lot of imas events; they're not super rare like Kugyuu or Chiaking. The bad thing is... Everything else. Wishing them both a speedy recovery!